These cookies are unique and imaginative! 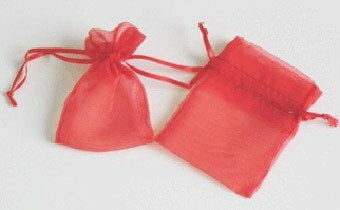 We gave these as part of a gift to our business partners. We loved that we could use our own message. The shipping is a bit pricey- but worth it. Please note that this item can only be shipped via 1-Day Shipping for delivery dates between May 5th and September 30th, and 2-Day Shipping the rest of the year. What's better than catching the first snowflake of the season on your tongue? Popping a snowflake dipped fortune cookie in your mouth! Welcome winter with cookie favors at your holiday party or Christmas dinner. 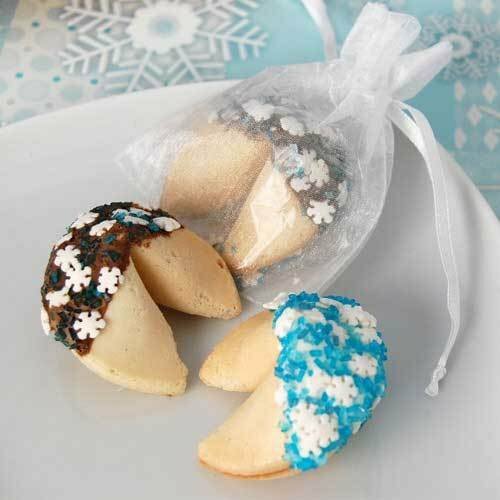 Delicious, fresh-baked fortune cookies are hand-dipped in white or milk Belgian chocolate and generously sprinkled with white snowflake-shaped sprinkles and sky-blue sugar. 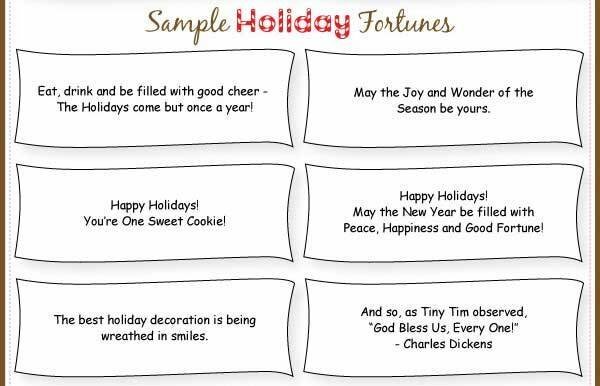 Choose a custom message to include inside each or opt for assorted holiday-themed messages. 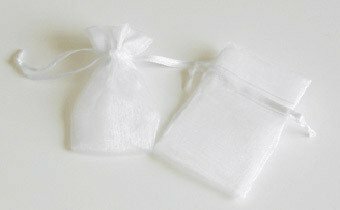 Cookies arrive individually packaged in cellophane bags heat-sealed for freshness. 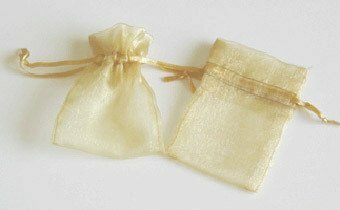 For that extra touch, opt for a organza bag. Cookies measure approximately 2.25" diamter. The shelf life for this item is 6-9 months.